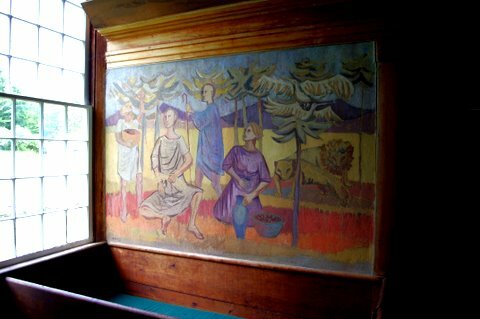 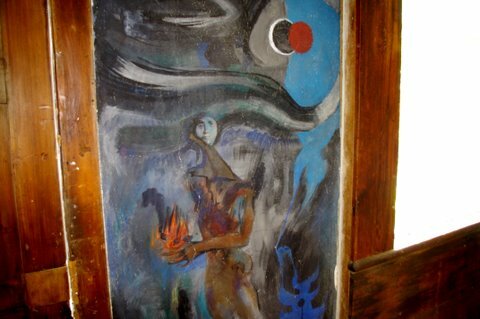 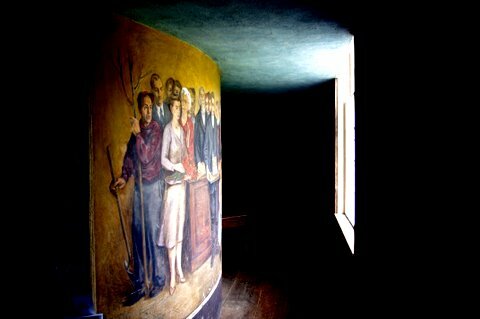 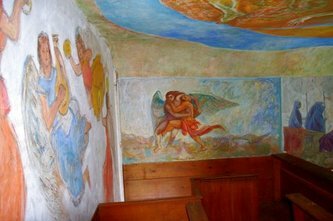 In the early 1950’s the Skowhegan School of Painting and Sculpture was a newly established summer artist residency school in Maine, founded by Willard Cummings, Henry Varnum Poor and Sidney Simon and specializing in fresco. 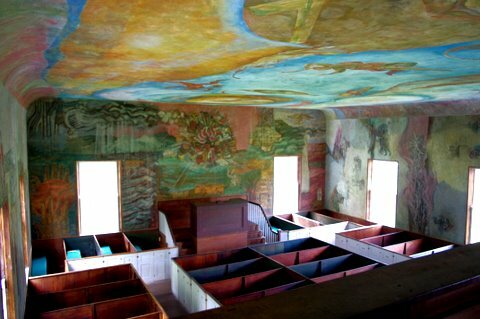 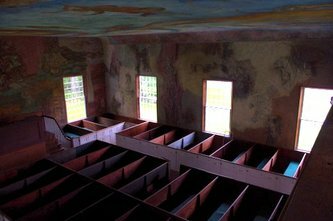 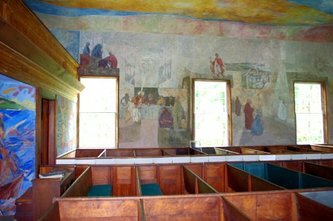 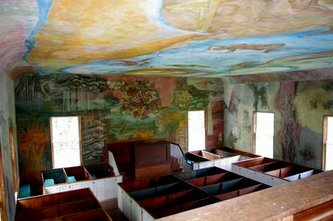 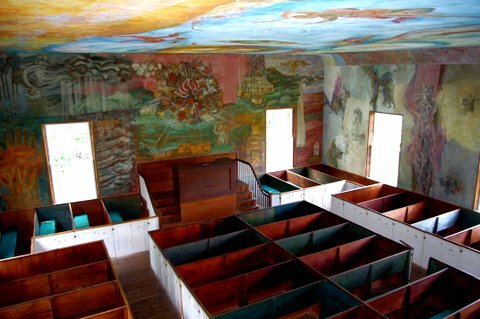 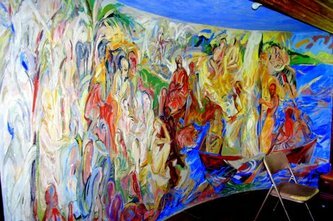 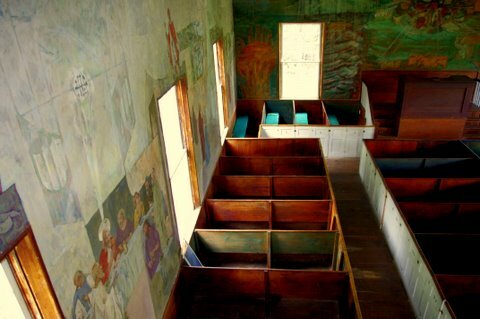 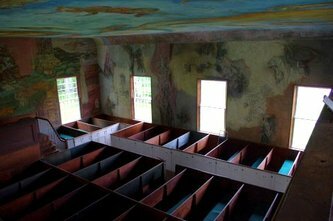 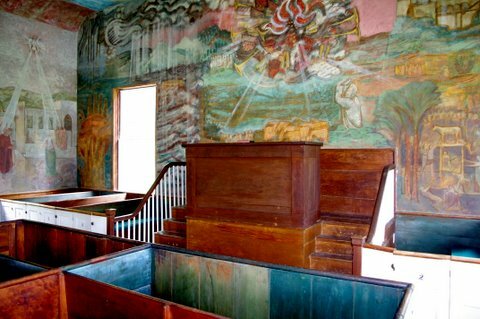 The founders and faculty were instrumental in organizing three national juried competitions that selected artists to paint fresco murals at the Meeting House. The faculty and jurors involved were: Rene d’Haroncourt, Director, Museum of Modern Art; John I.H. 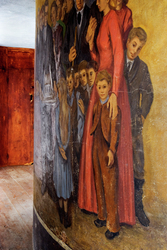 Bauer Director, Whitney Museum of American Art; Ely Jacques Kahn and Nathaniel Saltonstall, architects; and artists Ben Shahn; Jack Levine; Franklin Watkins and Isabel Bishop.